Nate Brenner, aka Naytronix, is no stranger to divine melody: as bassist to Merrill Garbus of tUnE-yArDs, the Oakland native has been exposed to life on the road and music from far reaches of the globe. Conceived on said road, Mister Divine is a stream-of-consciousness take on Brenner’s funk roots, complete with murmured lyrics and centered around trapped drum machines. The record has bass lines thicker than trees, and rhythm sections that take after 1970s sub-Saharan African records and early funk movements of the mid-1960s. Brenner, who has a wide pool of musical influence, has mentioned William Onyeabor and Bootsy Collins as exponentially impacting his sound. 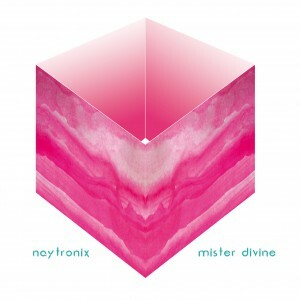 Mister Divine, follow-up to 2012’s Dirty Glow, is a richly textured soundscape that serves as an updated understanding of Brenner’s musical genius. The title track exists as if in a dream — opening with arpeggiated chords and Brenner’s narrative bass — it drifts along like an object crafted in motion. “Dream” takes us on a journey through hotel rooms and wavering synths: “I’m in a stream / tell my mother I miss home / I’m in a dream, floating in a sea of foam.” A clear message comes across in penultimate track “The Future,” which delivers itself in the toils of everyday life and looks to greener pastures. The ethos of Mister Divine is that of supine simplicity, of life in a dream world crafted by hours spent in stasis on a tour bus. It’s here that Naytronix carves out a place in the abiding now — a place not entirely in the past but not at all in the future either.